Get on Prime — Subsplash.com | Engage your audience like never before. Get on Subsplash Prime to access all-new SnapPages™, tablet apps, GeoEngage™, and more. GeoEngage™ and more featured on Prime, only $199/mo. Plus, free setup through April 21, 2019! Yes! I would like to see a guaranteed giving increase and save 30%—equivalent to $720/year—on my subscription. Please contact me to discuss my options. By continuing, I agree to the Subsplash Terms of Service and Prime Package Statement of Work. Add tablets to put gospel content into the hands of more users on more devices. One-click publishing in the Subsplash Dashboard puts your media on every device at once: not just phones, but Apple, Android, and Amazon tablets too. Increase app engagement by 90%, and reach the right people every time with up to 3 locations on Prime. 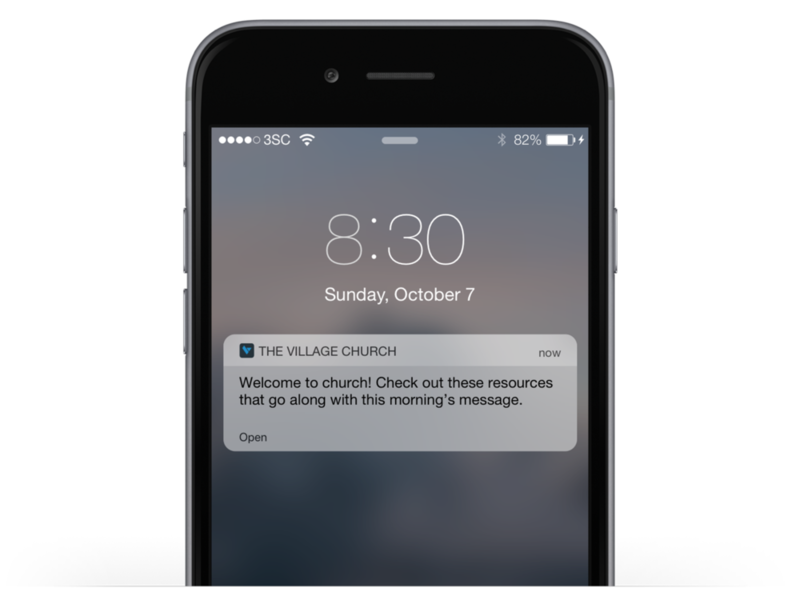 Now you can send targeted push notifications to those who are inside, outside, entering, or leaving your GeoEngage locations. Prime is the future of Subsplash. We’re always innovating, and all of our latest releases live here. Choose from three powerful packages.